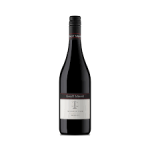 A deep red in the glass with a ripe and opulent nose that is bursting with decadent vanillin oak with caramel tones and fruit that s in the plum spectrum. A medium to full bodied wine that is starting to develop some earthen notes and the fruit starting to become much more secondary. Oak continues its impact with Christmas cake spice and choc mint to old leather on the finish. Showing well at 7 years and one to drink over the next couple.